The city played a significant role in the early history of the Oregon Country. 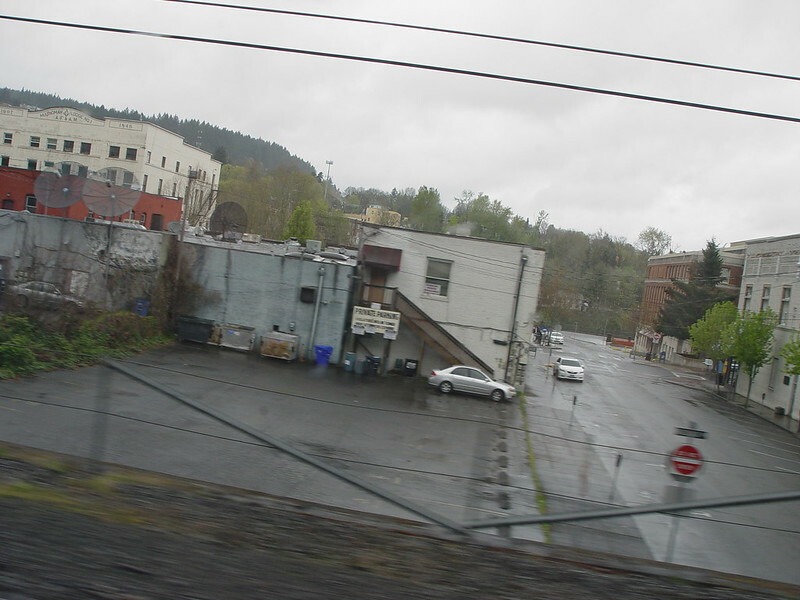 It was established by Hudson’s Bay Company’s Dr. John McLoughlin in 1829 near the confluence of the Clackamas River with the Willamette River to take advantage of the power of Willamette Falls to run a lumber mill. During the 1840s and 1850s it was the destination for those wanting to file land claims after traveling the Oregon Trail as the last stop on the trail. It was the capital of the Oregon Territory from its establishment in 1848 until 1851, and rivaled Portland for early supremacy in the area. In 1846, the city’s newspaper, the Oregon Spectator, was the first American newspaper to be published west of the Rocky Mountains. The center of the city retains part of its historic character through the preservation of houses and other buildings from the era of the city’s founding. Image published by James_Seattle on 2011-04-24 16:30:39 and used under Creative Commons license.